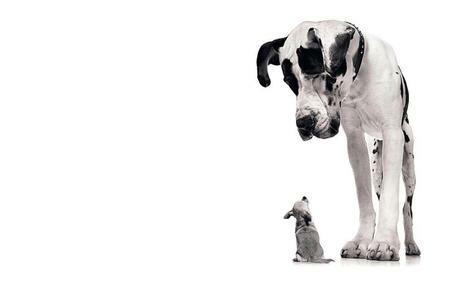 Startups have a hidden unfair advantage that can be a powerful weapon against big incumbents. And it doesn’t have anything to do with being nimble. Every business begins with someone trying to make something better. Someone somewhere said, there is a problem and we can fix that. Maybe it was a new problem. Maybe it was a problem that someone else was already addressing but not doing a great job. Or maybe it was something ubiquitous that we have always needed. At its core was an intention to improve life somehow. And a belief that the only way things were going to get better is if they did it. A belief so intense that a business was born. This is a kind of madness. A madness that has beauty and power in it. Purpose is one the greatest motivators of human behaviour. Give people the right purpose and they will follow you, trust you, live and die for you. In business, it acts as this subtle but profound force that attracts people to you. People who want to help you, people who want to join you, support you and buy from you. What business doesn’t want customers, employees and investors flocking to get involved? Some say that the business of business is making money. But if you aren’t helping someone solve a problem – then you are not creating value. The business of business is helping people. Profits are a function of that help. “The greatest businesses hold onto their original purpose. They make it an integral part of their culture and identity”. Too many businesses lose touch with their original purpose. As they grow the business becomes less about the original intent and more about profit, and processes. Profits and processes are critical – but in service of something greater. Because profits and processes are tangible and measurable they become the focus. They become the master that we serve not the original intent behind the business. The greatest businesses hold onto their original purpose. They make it an integral part of their culture and identity. These are the businesses that we love and are loyal to. That we buy from again and again. That we recommend to our friends. That everyone wants to work for. The advantage for startups is that the original idea is fresh. The idea that had the power to bring they organisation to life in the first place, is still present. It is raw, recent, real. And customers can smell that. In bigger businesses, it goes stale. It gets diluted. Which is why we find it easier to connect with smaller businesses – they feel more human. More trustworthy. And that is because of the presence of purpose. Bigger businesses will always have to work harder to convince you that their intentions are genuine. Smaller businesses can just feel easier to connect with. There has never been a better time to start a business. The barriers to entry are plummeting. Access to talent, technology and markets is easier and cheaper than ever before. What not everyone realises is that access to trust is also easier than it ever was. In the age of social media, that trust can get amplified and gain you attention, at the speed of the internet. So don’t lose sight of your purpose. Identify it, manage it, protect it, use it. It is one of your most cherished and powerful assets. And although it didn’t cost you anything. Losing sight of it might cost you a fortune.